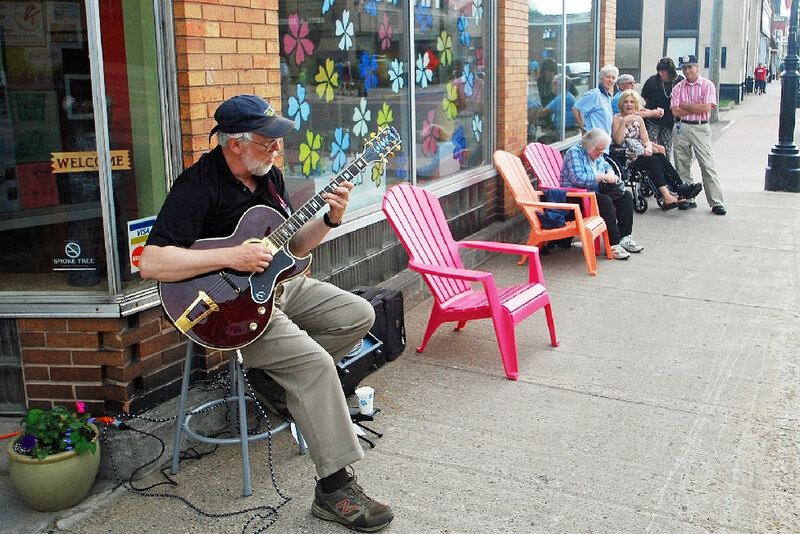 The Portage Lake District Library invites everyone to bring their lunch and enjoy “Music on the Menu,” an outdoor series of events held on the dock outside the library tomorrow. Libby Meyer (VPA) will be joined by Copper Country Suzuki Association fiddlers from noon to 1 p.m. They will perform traditional Irish jigs, hornpipes and reels. The audience is welcome to dance. Everyone is invited to bring their lunch and relax while listening to some great music. In the event of bad weather, the program will be held inside the library. Library programs are free and open to all. For more information, call the library at 482-4570 or visit http://www.pldl.org. The Rozsa Center and Visual and Performing Arts 2015/16 season presents a little something for everyone. The season includes more than 39 events, encompassing film, lectures, music, art gallery exhibitions, dance and more. From Shakespeare and ballet, to comedy and jazz, Rozsa shows will entertain all tastes and ages. The season even includes an opportunity for local young dancers to perform alongside professional ballet dancers in The Nutcracker. Flexible discount season ticket packages are on sale Aug. 1 to 31with single tickets going on sale Sept. 1. For more information visit the Rozsa Center website or contact Bethany Jones at bjones@mtu.edu. The line-up for the 2015/16 Rozsa Arts season is now available. Full Subscription–$270 These tickets serve as a pass to all shows including lectures, films, music, plays, musicals, dances and operas. Same seat is guaranteed. Pick 6–$99 With this pass you will receive one ticket for six shows of your choice during the season. Ticketing operations will make every effort to give you the same seats, but the same seats are not guaranteed based on availability and priority of reservations. Shows included are any presented by the Rozsa Center, the Department of Visual and Performing Arts or the Student Entertainment Board. Those with a full subscription from last year have had their seats reserved and can repurchase them this year. 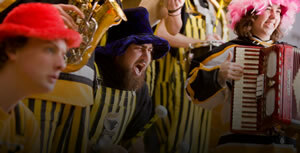 You can purchase your ticket packages by calling 7-2073, visiting the ticket office at the SDC or going online. All who purchase season tickets will also receive the benefits of priority reserved seating for every show, unlimited free ticket exchanges, ten percent discount on additional single tickets and special, exclusive receptions, artist talks and other special events. Available this year are convenient pocket calendars featuring the monthly big events. You can find these handy calendars around town, campus or at the Rozsa this week. Mike Irish Performing at Key Ingredients. Photo: Roland Burgan. 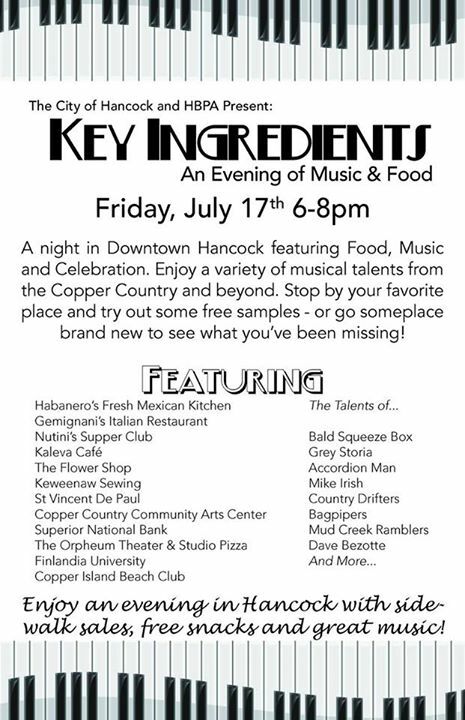 Associate Professor Mike Irish will be performing in the 2nd Annual Key Ingredients event. Key Ingredients involves food, music, and sidewalk sales the day before the 40th annual Canal Run. 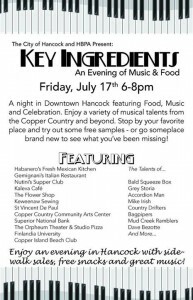 Key Ingredients is presented by the City of Hancock and HBPA (Hancock Business Professionals Association).